News, interviews, and the latest Star Wars merchandise and publishing! 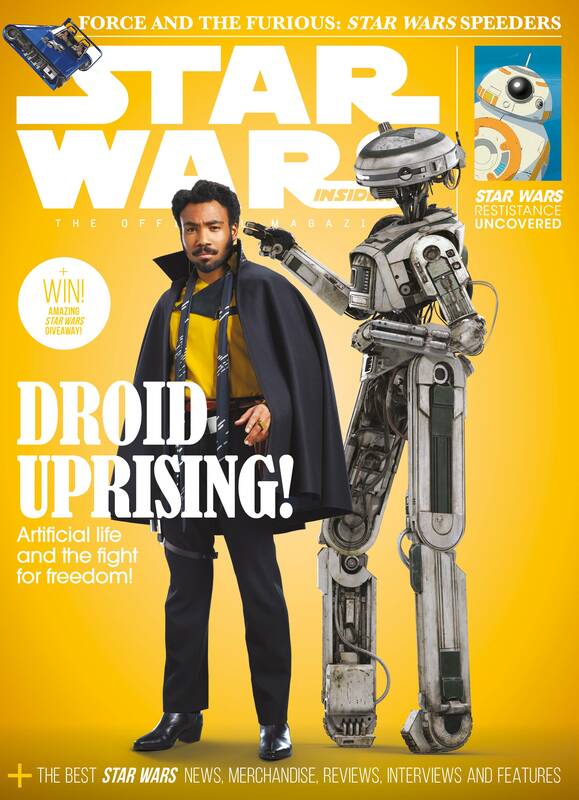 In issue 184 of Star Wars Insider we continue to explore the new corners of the galaxy revealed in Solo: A Star Wars Story, as we consider the repercussions of L3-37's droid uprising-and what it tells us about the ethics of creating sentient machines! We take a ride in hot rod speeders, and discover how the natural history of a galaxy far, far away takes inspiration from life on Earth..